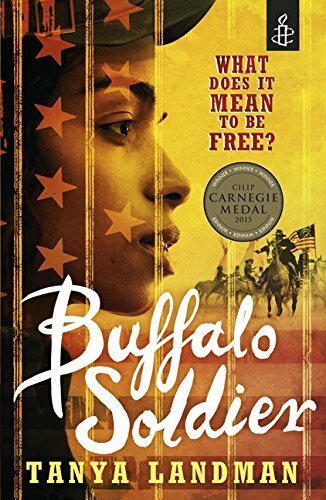 The Carnegie Medal in Literature, or simply Carnegie Medal, is a British literary award that annually recognizes one outstanding new book for children or young adults. It was established in 1936, in memory of the great Scottish-born philanthropist, Andrew Carnegie (1835-1919). 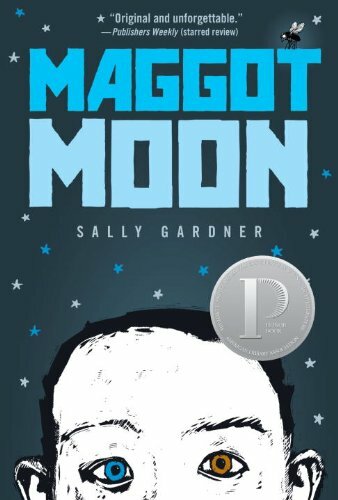 In Sally Gardner's stunning novel, set in a ruthless regime, an unlikely teenager risks all to expose the truth about a heralded moon landing. What if the football hadn't gone over the wall. On the other side of the wall there is a dark secret. And the devil. And the Moon Man. And the Motherland doesn't want anyone to know. 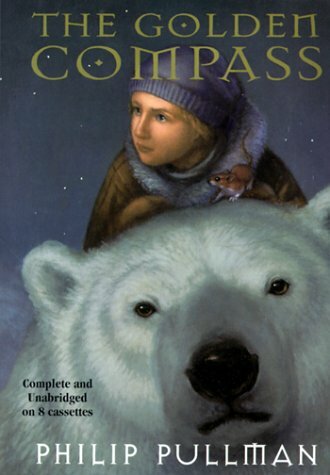 But Standish Treadwell — who has different-colored eyes, who can't read, can't write, Standish Treadwell isn't bright — sees things differently than the rest of the “train-track thinkers.” So when Standish and his only friend and neighbor, Hector, make their way to the other side of the wall, they see what the Motherland has been hiding. 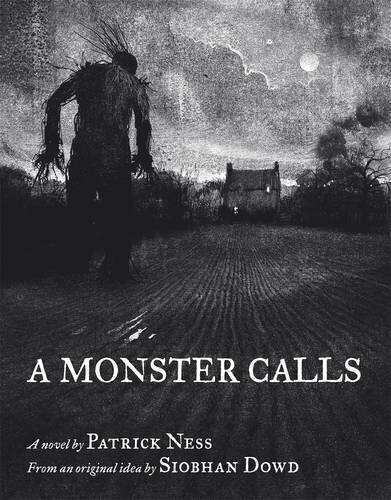 And it's big...One hundred very short chapters, told in an utterly original first-person voice, propel readers through a narrative that is by turns gripping and darkly humorous, bleak and chilling, tender and transporting. 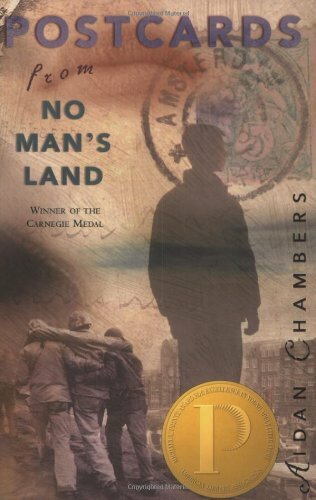 This is the winner of the 2014 Cilip Carnegie Medal. Room meets Lord of the Flies, The Bunker Diary is award-winning, young adult writer Kevin Brooks' pulse-pounding exploration of what happens when your worst nightmare comes true - and how will you survive? I can't believe I fell for it. It was still dark when I woke up this morning. As soon as my eyes opened I knew where I was. A low-ceilinged rectangular building made entirely of whitewashed concrete. There are six little rooms along the main corridor. There are no windows. No doors. The lift is the only way in or out. What's he going to do to me? What am I going to do? If I'm right, the lift will come down in five minutes. It did. 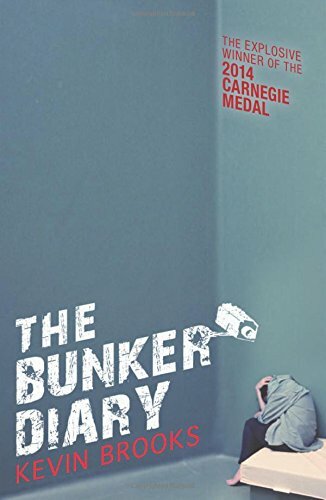 Only this time it wasn't empty...Praise for The Bunker Diary: "[Kevin Brooks'] pacey plots ...have made him a cult among teens. This, though, is the big one. It should be read by everyone". (Amanda Craig, The Times). 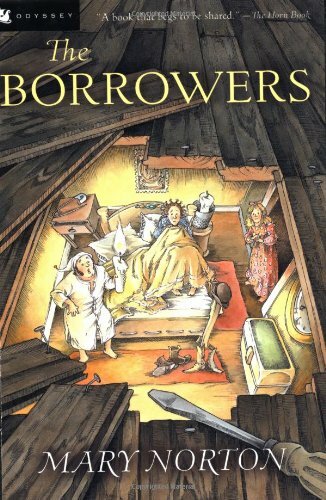 Kevin Brooks has won the Branford Boase Award and been shortlisted for the Guardian Children's Fiction Award, the Booktrust Teenage Prize, the Manchester Book Award and for the Carnegie Medal (for Martyn Pig, Road of the Dead and Black Rabbit Summer). Kevin Brooks was born in Exeter and studied in Birmingham and London. He had a varied working life, with jobs in a crematorium, a zoo, a garage and a post office, before - happily - giving it all up to write books. Kevin is the author of Being, Black Rabbit Summer, Killing God (published as Dawn in the USA), iBoy and Naked for Penguin. He now lives in North Yorkshire. If you enjoyed The Bunker Diary and want to get inside more of your favourite books, then check out spinebreakers.co.uk for exclusive author interviews, competitions and much more. The crew's on holiday, and they turn their energies to mining for gold, aided by pigeon messengers Homer, Sophocles, and Sappho. The adventurers comb the nearby hills for a fabled lost claim, while being shadowed by a mysterious figure they dub "squashy hat." Undeterred by drought, sudden brushfires, and the continuing presence of Squashy Hat, the young prospectors persevere in their quest - with surprising results. 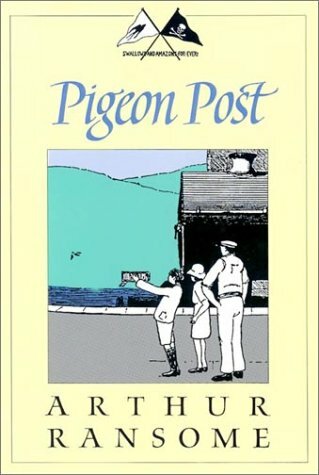 Full of the dangers and dark adventures of old mines and forgotten claims, Pigeon Post has an irresistible appeal to the persistent explorer in every child. "There is plenty of excitement, a little danger, a quality of thinking, planning and fun in connection with a gold-mine. The ingenuity of this group of children is delightful and stimulating." 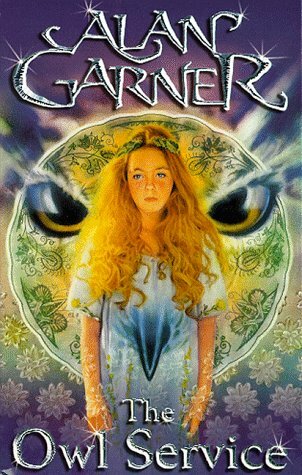 When orphaned young Maria Merryweather arrives at Moonacre Manor, she feels as if she's entered Paradise. Her new guardian, her uncle Sir Benjamin, is kind and funny; the Manor itself feels like home right away; and every person and animal she meets is like an old friend. 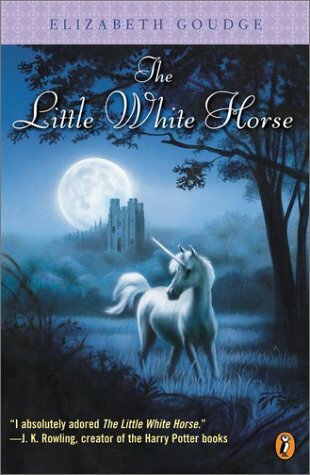 But there is something incredibly sad beneath all of this beauty and comfort--a tragedy that happened years ago, shadowing Moonacre Manor and the town around it--and Maria is determined to learn about it, change it, and give her own life story a happy ending. But what can one solitary girl do? 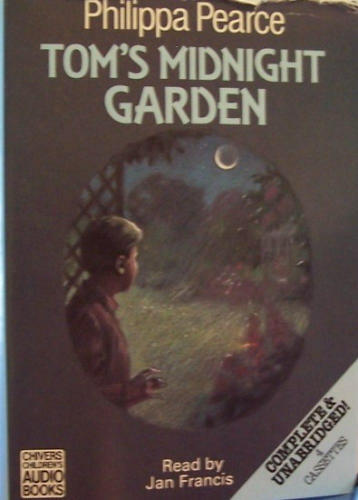 A recipient of the Carnegie Medal, this is the story of a young boy's discovery of an enchanted, secret garden which no one else can see. The garden is too fantastic for the adults to believe, but for Tom it is a place of marvellous adventures. The last of the Roman army have set sail and left Britain for ever, abandoning it to civil war and the threat of a Saxon invasion. Aquila deserts his regiment to return to his family, but his home and all that he loves are destroyed. Years of hardship and fighting follow and in the end there is only one thing left in Aquila's life - his thirst for revenge ...Rosemary Sutcliff's books about Roman Britain have won much acclaim and the first in the trilogy, The Eagle of the Ninth, has now sold over a million copies worldwide. 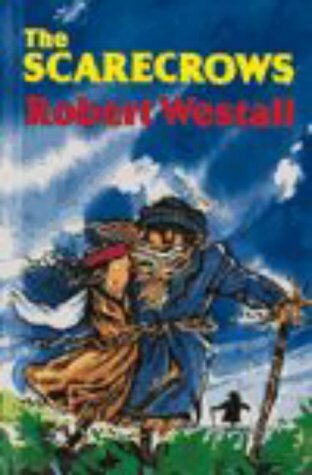 The author writes with such passion and with such attention to detail that the Roman age is instantly brought to life and stays with the reader long after the last page has been turned. 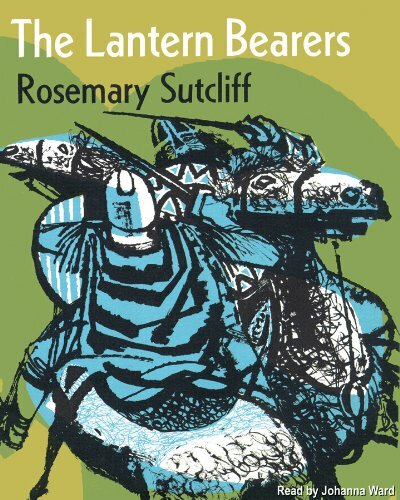 Winner of both the Guardian Award and the Carnegie Medal, this is an all-time classic, combining mystery, adventure, history and a complex set of human relationships. It all begins with the scratching in the ceiling. From the moment Alison discovers the dinner service in the attic, with its curious pattern of floral owls, a chain of events is set in progress that is to effect everybody's lives. Relentlessly, Alison, her step-brother Roger and Welsh boy Gwyn are drawn into the replay of a tragic Welsh legend -- a modern drama played out against a background of ancient jealousies. As the tension mounts, it becomes apparent that only by accepting and facing the situation can it be resolved. 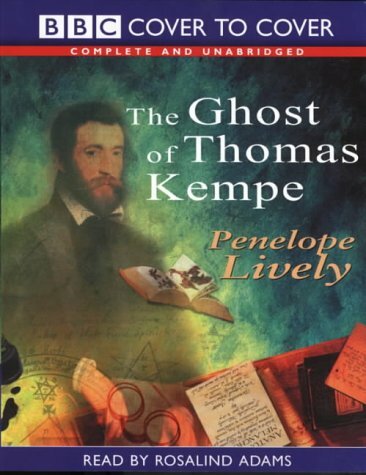 The ghost of a seventeenth-century sorcerer emerges as a poltergeist and attempts to make young James his apprentice. 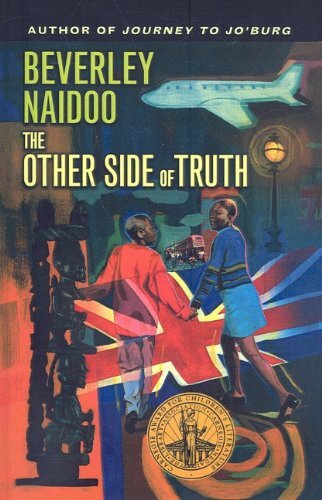 One of a series of top-quality fiction for schools, this novel won the 1981 Carnegie Medal. A boy's anger and misery about his detested new stepfather are worked out through three scarecrows in a field near his home. 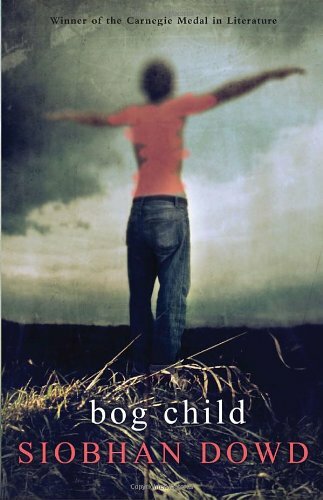 Eighteen-year-old Chris and his girlfriend Helen struggle to cope with two shocks that change their relationship and their plans for the future; the discovery that Helen is pregnant and the reappearance of Chris's mother who left the family when he was ten. 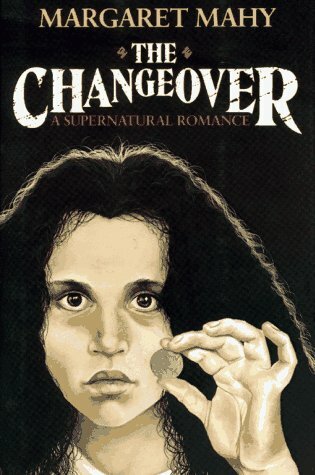 Seventeen-year-old Jacob Todd is about to discover himself. Jacob's plan is to go to Amsterdam to honor his grandfather who died during World War II. He expects to go, set flowers on his grandfather's tombstone, and explore the city. But nothing goes as planned. Jacob isn't prepared for love&150or to face questions about his sexuality. Most of all, he isn't prepared to hear what Geertrui, the woman who nursed his grandfather during the war, has to say about their relationship. Geertrui was always known as Jacob's grandfather's kind and generous nurse. 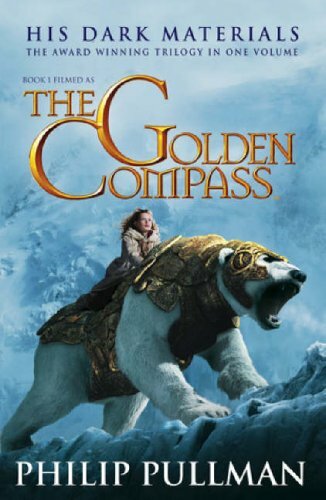 But it seems that in the midst of terrible danger, Geertrui and Jacob's grandfather's time together blossomed into something more than a girl caring for a wounded soldier. And like Jacob, Geertrui was not prepared. Geertrui and Jacob live worlds apart, but their voices blend together to tell one story&150a story that transcends time and place and war. 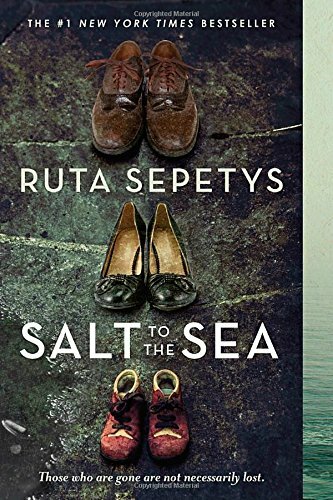 By turns moving, vulnerable, and thrilling, this extraordinary novel takes the reader on a memorable voyage of discovery. From acclaimed British sensation Mal Peet comes a masterful story of adventure, love, secrets, and betrayal in time of war, both past and present. When her grandfather dies, Tamar inherits a box containing a series of clues and coded messages. Out of the past, another Tamar emerges, a man involved in the terrifying world of resistance fighters in Nazi-occupied Holland half a century before. His story is one of passionate love, jealousy, and tragedy set against the daily fear and casual horror of the Second World War — and unraveling it is about to transform Tamar's life forever. DIGGING FOR PEAT in the mountain with his Uncle Tally, Fergus finds the body of a child, and it looks like she's been murdered. As Fergus tries to make sense of the mad world around him—his brother on hunger-strike in prison, his growing feelings for Cora, his parents arguing over the Troubles, and him in it up to the neck, blackmailed into acting as courier to God knows what—a little voice comes to him in his dreams, and the mystery of the bog child unfurls. 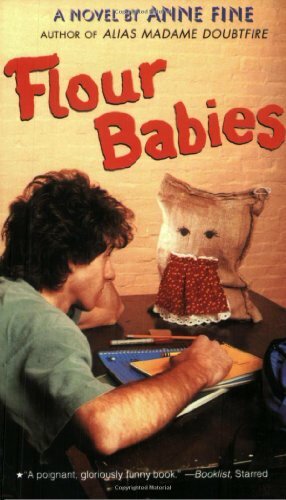 Participating in a class assignment that calls for the students to watch over flour sacks as if they were babies, Simon learns much about his own family life, including why his father walked out on him. Reprint. H. SLJ. AB. PW. 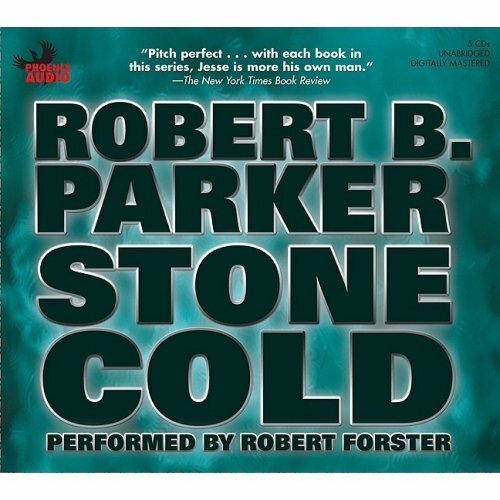 In Stone Cold, Jesse Stone has a problem no officer of the law likes to face: dead bodies keep appearing, but clues do not. A man takes his dog out for a run on the beach, only to be discovered hours later--with two holes in his chest. A woman drives her Volvo to the mall to do some grocery shopping, and is found dead, her body crumpled behind her loaded shopping cart. A commuter takes a shortcut home from the train, and never makes it back to his house. Hunting down a serial killer is difficult and dangerous in any town, but in a town like Paradise, where the selectmen and the media add untold pressures, Jesse begins to feel the heat. Already walking an emotional tightrope, Jesse begins to stumble: he's spending too much time with the bottle--and with his ex-wife--neither of which helps him, or the case. And the harder these outside forces push against him, the more Jesse retreats into himself, convinced--despite all the odds--that it's up to him alone to stop the killing. As tough, clear-eyed, and sardonic as Jesse Stone himself, this is the Grand Master working at the peak of his powers. "What is he? A friend, or an enemy?" "He is a murderer." Will has just killed a man. He's on the run. His escape will take him far beyond his own world, to the eerie disquiet of a deserted city, and to a girl, Lyra. 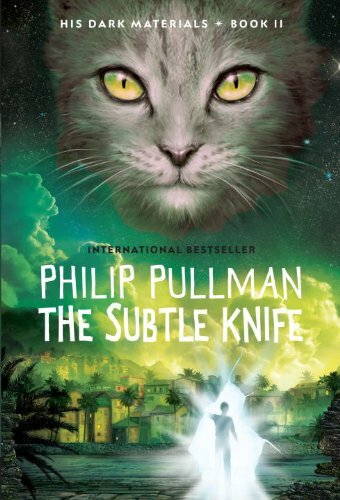 Her fate is strangely linked to his own, and together they must find the most powerful weapon in all the worlds...The second volume in Philip Pullman's incredible HIS DARK MATERIALS trilogy. 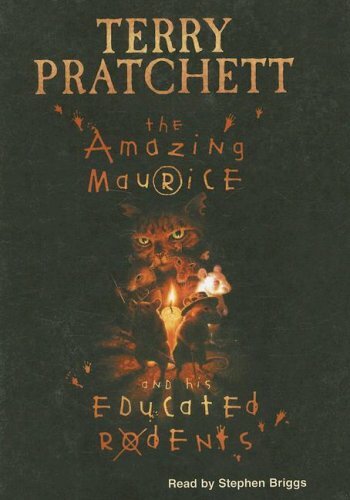 First published in 1995, and acclaimed as a modern masterpiece, it won the UK's top awards for children's literature. 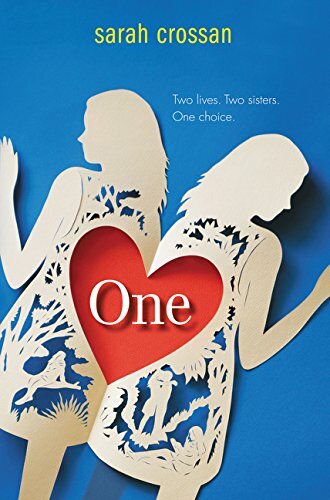 When Gemma, a rebellious 14-year-old bored with life in her small seaside town, decides to run away to join her boyfriend Tar in London, the pair are offered shelter in a squat. They meet two heroin addicts and are themselves soon hooked, while Gemma is forced into prostitution to pay for the drug. Man, bird, or angel? Who or what is Skellig? Michael was looking forward to moving into a new house. It was all going to be wonderful. But now his baby sister's ill, his parents are frantic, and Dr. Death has come to call. Michael feels helpless. Then one day he steps into the crumbling garage. What is this thing beneath the spiderwebs and dead flies? A human being, or a strange kind of beast never seen before? The only person Michael can confide in is his new friend Mina. Together they carry the creature out into the light, and Michael's world changes forever. 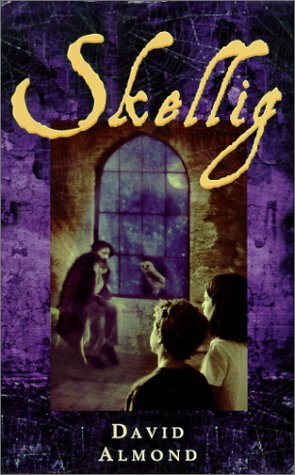 Told in lyrical prose, and beautifully read by the author David Almond, Skellig is a mystery, an adventure, and a family story, in which Michael learns about nature, poetry, and the healing power of love. The New Windmill Literature File provides photocopiable activities to help you link The Other Side of Truth and other popular New Windmills to Framework objectives and approaches to learning and teaching. 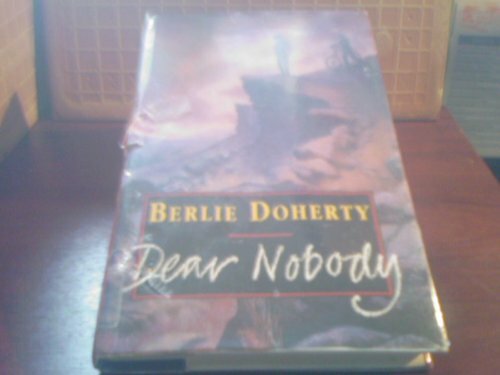 See The New Windmill Literature File for more information.| Carnegie Medal Winner. Tiller an Sairy are a sweet couple who are each restless for one more big adventure while their bodies are still spry enough to paddle a canoe or climb a mountain. Their own children have grownup and moved away, so they're each looking for someone to help them and keep them company on their last exciting journey. And Ruby Holler is the beautiful, mysterious place that changes all of their lives forever. When Tiller and Sairy invite Dallas and Florida to stay with them and keep them company on their adventures, the magic of the Holler takes over, and the two kids begin to think that maybe, just maybe, the old folks aren't that bad . . . 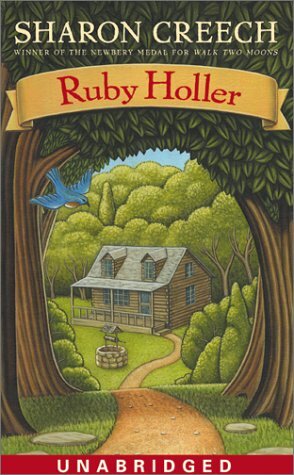 Filled with humor, poignancy, cookies and treasure maps, Newbery Medal winner Sharon Creech's Ruby Holler is a delightful book about a special place where it's never to late to love -- or be loved. It was a one-in-a-million chance. 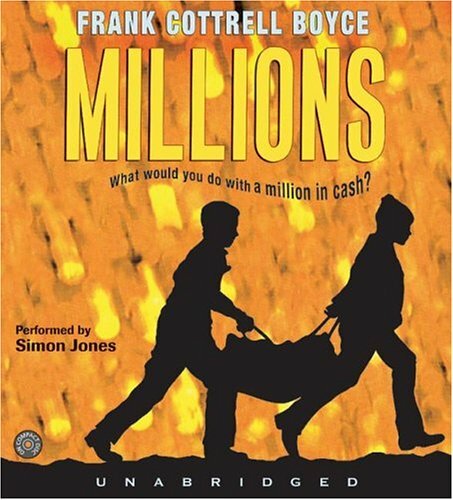 A bag crammed with cash comes tumbling out of the air and lands right at Damian's feet. Suddenly the Cunningham brothers are rich. Very rich. They can buy anything they want. There's just one problem -- they have only seventeen days to spend all the money before it becomes worthless. And the crooks who stole the cash in the first place are closing in -- fast. 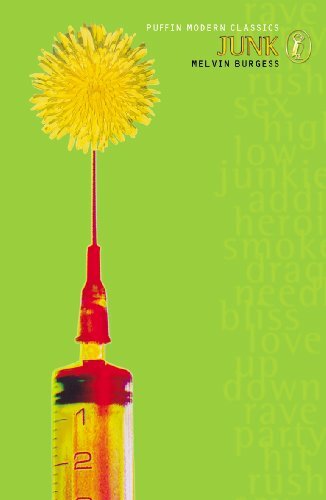 A funny, brilliantly clever and utterly thrilling debut novel that is, quite simply, unforgettable.